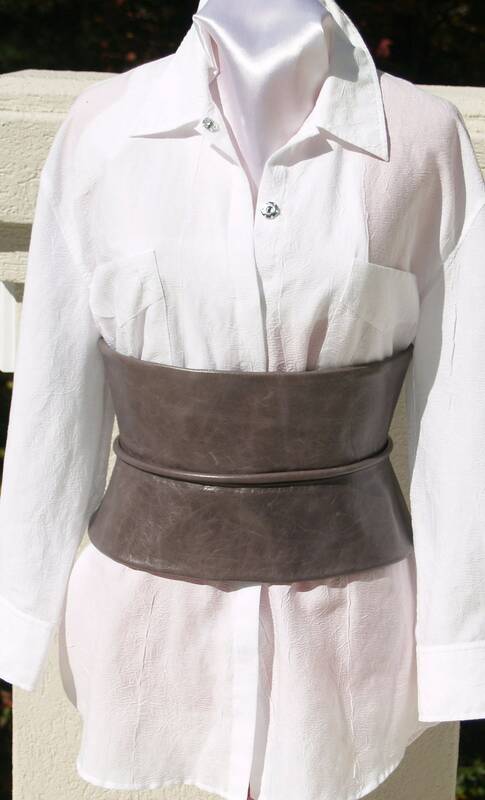 This belt is 100% butter soft distressed gray leather obi cinched waist corset belt. Truly unique, with 4" height on the top and 4" height on the bottom, accented with a leather piping in the center. Waist measures 29 and 31", with gunmetal snap closure. This belt will add that "something special" to any outfit. Designed to contour and compliment the waist. Clean, understated, elegant - definitely one of a kind.